Trekking has become the most favorite weekend activity for Bangaloreans. Fortunately, Bangalore is also gifted with plenty of trekking and adventure destinations in a close proximity to the city. With substantial young population from technology industry, Bangalore trekking sites are often crowded with large number of adventure enthusiasts trying to catch a sunrise view, particularly on the weekends. While the long, overnight trekking destinations of Karnataka like Kumara Parvatha, Kudremukh, Brahmagiri Peak are little far away, Trawell.in tries to list the top trekking sites within 120 km from Bangalore that can be visited in one day from Bangalore City. 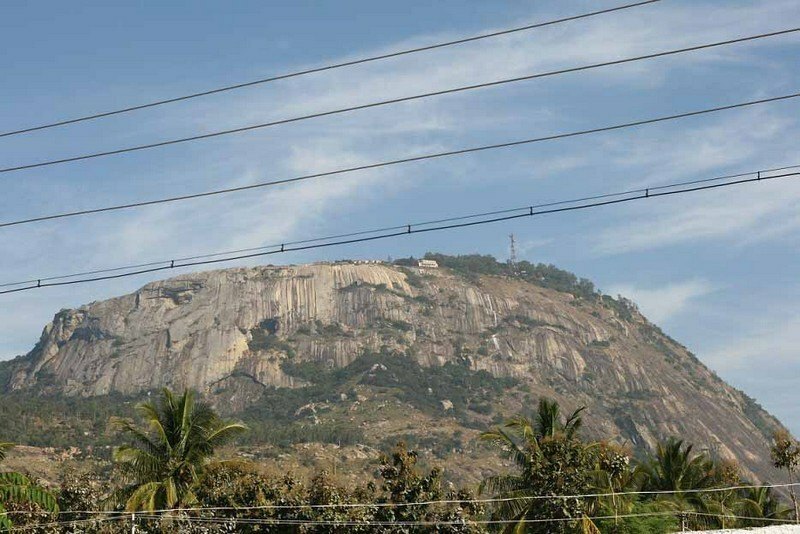 The Savandurga hill is considered to be among the largest monolith hills in Asia. This is one of the popular trekking destinations around Bangalore. Savandurga consists of two hills, the Billigudda and the Karigudda. They serve as the base for pilgrims who come to visit the Savandi Veerabhadreshwara Swamy temple and Narasimha Swamy temple, situated at the base of the hills. Savandurga was a prominent place during the Hoysala rule. The hill fort on the top of the hill was erected in 1543 by Samanta Raya. It came under control of Kempe Gowda until 1728 when it was captured by the Raja of Mysore from whom it passed to Haider Ali. In 1791 Lord Cornwallis captured Savandurga from Tipu Sultan’s army in the Third Anglo-Mysore War. Trekking in Savandurga is an extremely popular activity. There are actually two main trekking trails that run up towards Savanadurga. One is the Karigudda and the other is the Billigudda trail. The climb along Biligudda goes through the ruined fort built by Kempe Gowda. The climb up to the fort tower can be a challenging trek. For adventure seekers, Karigudda can be a satisfying trek. Night trekking and watching sunrise is the most popular activity in Savandurga. Ramanagara is a town in Karnataka. It is also the headquarters of Ramanagara district. It is base for few good short trekking trails in Karnataka Tourism. Ramanagara is famous for its silk market, giving it the other name of Silk town. The Ramanagara district is surrounded by seven majestic hills Shivaramagiri, Yatirajagiri, Somagiri, Krishnagiri, Revana Siddeshwara hill, Jala Siddeshwara hill and Sidilakallu hill. 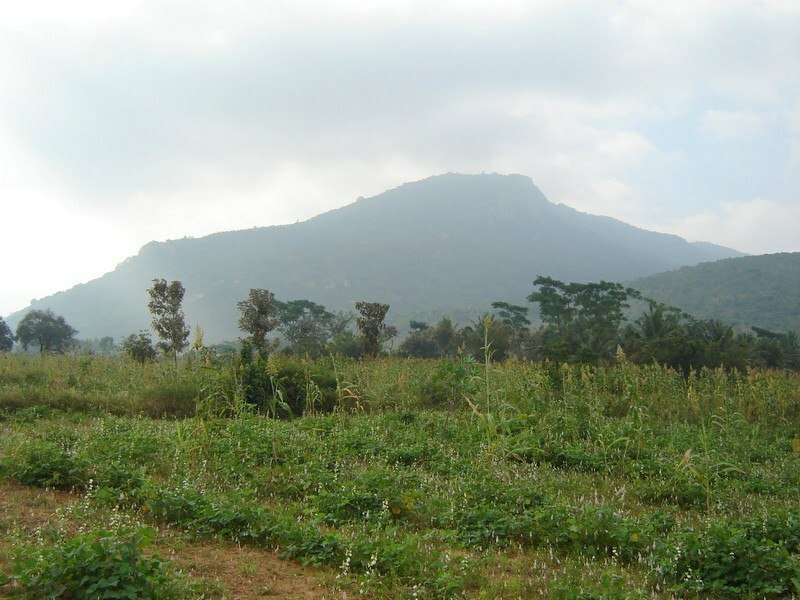 Ramanagara is one of the most popular trekking spots around Bangalore. Another Famous hill at Ramanagara is Ramagiri hill, the shooting location of the famous film Sholay, which is about 4 km from Ramanagara. The top of the hill has an ancient Pattabhi Rama temple. The Revana Siddeshwara Betta and the Ramadevara hills are the most popular destinations for trekking in Ramanagara. Adventure enthusiasts can also engage in the challenging and rewarding sport of Rock Climbing in Ramanagara. Over here, two types of rock climbing can be enjoyed: Pitch Climbing and Bouldering. Janapada Loka and Kanva reservoir are the nearby attraction of Ramanagara. It is an ideal spot for camping with good fishing spots and bird watching outposts. 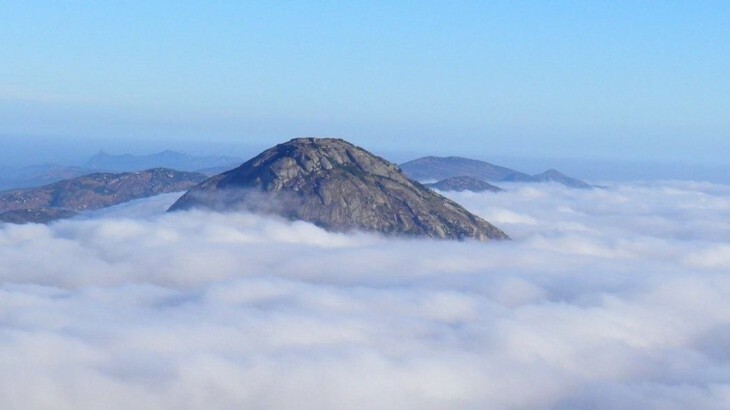 Nandi Hills or Nandidurga is a popular tourist destination from Bangalore. With an altitude of about 1,478 meter, it is an ideal place for trekking and hiking. This is one of the top trekking destination near to visit as part of your Bangalore trip. It gets its name from the ancient Nandi or bull which is meant to be the mount of Lord Shiva. It was one of the Tipu’s summer retreats. There are about 1,200 steps laid from foot of the hill to reach the top. Bhoga Nandishwara Templesituated in Nandi village at the foot of the hills is a must visit place which houses a 1000 year old sculpture of Nandi. Tipu Sultan’s Summer Palace and Tipu’s Drop, a 600 ft cliff from where Tipu Sultan used to throw his prisoners, offers a spectacular view of the valley. Amrita Sarovar Lake, ruins of Tipu Sultan’s fort are other places to visit. There are also three temples dedicated to Sri Ugra Narasimha, Sri Yoga Narasimha and Sri Bhoga Narasimha. There are few accommodation options available on the peak for those who want to experience early morning sunrise, though trekking the peak early in the morning is the best option. Self camping on the peak is not safe. Nandi Hills is also one of the top weekend getaways from Bangalore. 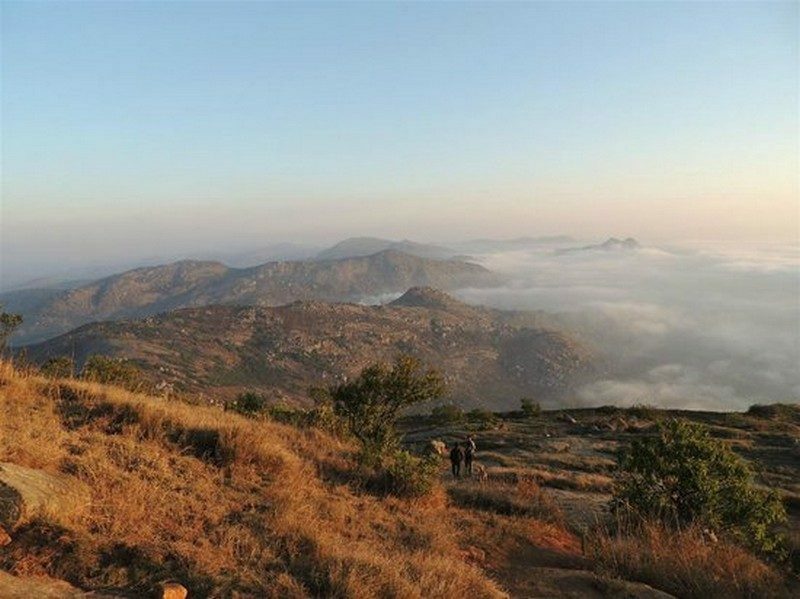 Skandagiri is an ancient mountain fortress lies at an altitude of about 1350 m. This is ideal destination for night trek around Bangalore, camping and bird watching. Skandagiri is also known as Kalavara Durga. It has an ancient dilapidated fort that belonged to a local king and was later concurred and used by Tipu Sultan. After Tipu’s downfall, the fort was ignored and laid in ruins. The Skandagiri trek is a moderately difficult trek. There are two routes to reach the base of the hill. 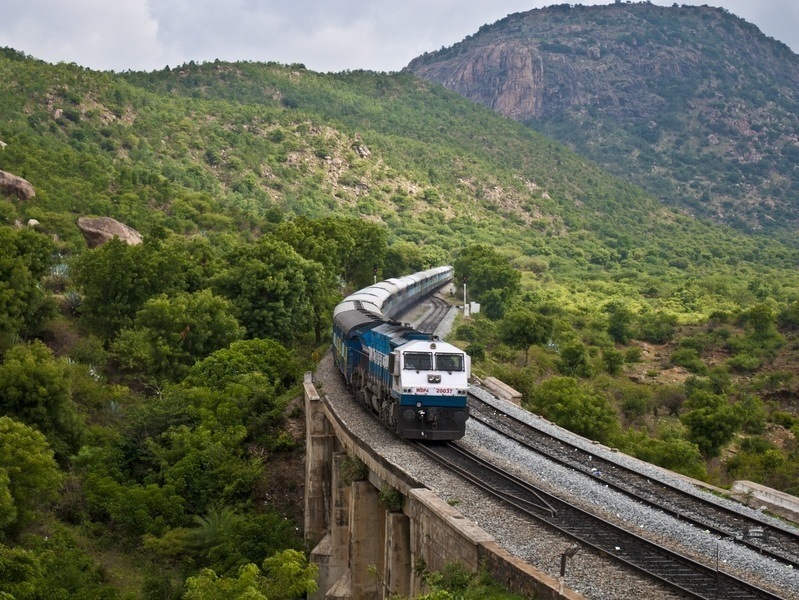 One is from Chikballapur town and the other as a detour from the road that leads to Nandi Hills. The trek starts from the Papagni Temple at the foot of the hill. Skandagiri is more famous for night trekking. Hundreds of people gather there on Saturday and Sunday mornings to watch the sunrise. It is best climbed very early in the morning or in a full moon night. Sunrise seen from the top is breathtaking. On the uphill trek you will encounter two caves. One is at the base of the hill and the other is on the midway – approximately thirty feet from the top. The best time to visit Skandagiri is from May to December. Makalidurga is a hill fort situated near the village of Makali in Karnataka. It used to be granary storage of the late 1800’s palegar ‘Makaliraya’. At the foothill there is a temple dedicated to Lord Krishna. From the hill top it is very beautiful to see the lakes on either side, curvy roads and the railway track below this hill. The glimpse of the train from here is very exciting. Makalidurga Trek is a moderately difficult trek. The trekking trail here is not as popular as Savandurga but the experience is still wonderful. 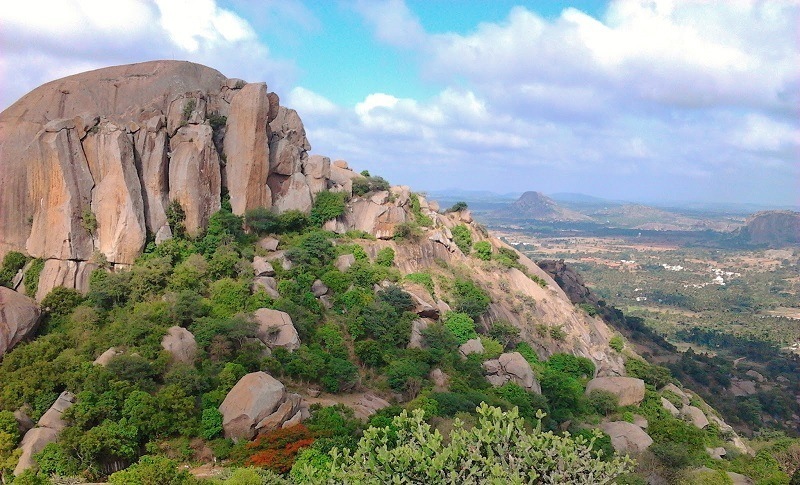 The Fort situated atop the massive granite hill is the main attraction in Makalidurga. The fort at the summit has an old temple of Shiva with Nandi and in legend Markandeya Rishi performed penance here. According to the history of Makalidurga, Vijayanagara Empire where they used to conduct army exercises in this place. The place was later captured by Shahaji (father of Shivaji) after Vijayanagara Empire and then was ruled by Kempe Gowda after he captured it from Shahaji. The night trekking in Makalidurga is an excellent experience. The months of September to February are the best time to trek in Makalidurga. Devarayanadurga is a rocky hill situated in the midst of picturesque locality at an altitude of 3940 ft. The main attraction of Devarayanadurga is the temples of Yoga Narasimha & Bhoga Narasimha. 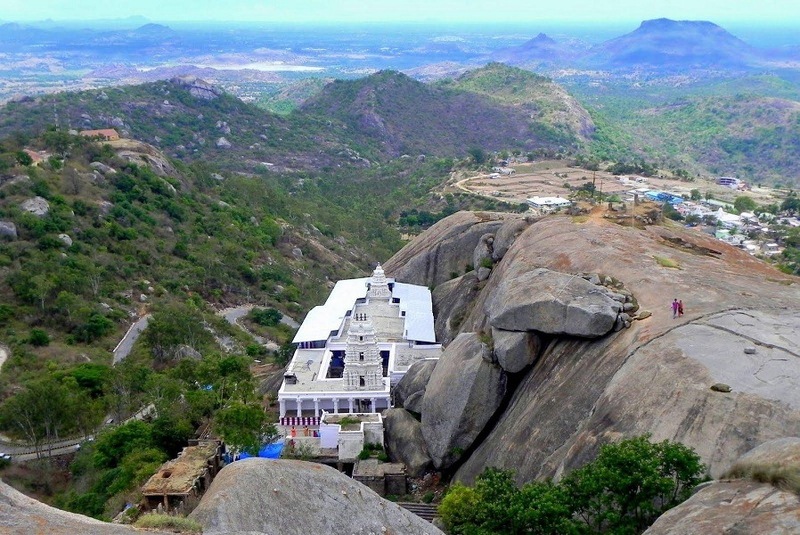 The Bhoga Narasimha temple is located at the foothills while the Yoga Narasimha shrine is located at the top of the hill. This is one of the popular tourist places and a good trekking destination near Bangalore. Many people trek the hill from the Bhoga Narasimha Temple at foothill. One can driver further from Yoga Narasimha temple to the peak of the hill to capture a nice view of the valley and surrounding places. Devarayanadurga is famous for the natural water spring called Namada Chilume which is considered as the source of Jayamangali River. There are two other springs known as Ramatirtha and Dhanushtirtha. There is a large cave nearby with figures of Rama, Sita and Lakshmana. The car festival of Sri Bhoga Narasimha Swamy is held during the month of March/April here. Sri Lakshmi Narasimhaswamy Jayanthi, an annual celebration of Narasimha avathara day takes place here during the month of Chaitra (around May). Bilikal Rangaswamy Betta is a popular hill situated near Kanakapura town. It is one of the highest hills in the area. It is also called as Bilikal Betta means white rocks. This is a good destination for short trekking near Bangalore. There is a temple dedicated to Lord Rangaswamy at the peak of Bilikal Betta. Every year, pilgrims from the surrounding area climb this hill to celebrate a festival at the Rangaswamy temple at the top. Bilikal Rangaswamy Betta belongs to the Eastern Ghats and is filled with shrub forest. The view from the top is very picturesque as one can see the hillocks from the surrounding Kanakapura range, mainly BM betta, Kabbala durga and Savanadurga too. Best time to visit Bilikal Rangaswamy Betta is during the post monsoon season of August to January. The trek starts from Konala Doddi, which about 6 kms from Bilikal Betta. Apart from the Trek route from Konala Doddi, there is jeep track till the peak from Kanakapura, which can also be trekked but a little long route. Anthargange is a wonderful tourist place with religious significance as well as a nature & trekking destination. The place is famous for Anthargange Caves and Temple. This is one of the popular pilgrimage sites to visit and also a wonderful site for night trekking around Bangalore. Anthargange literally means Inner Spring, named after a spring originated in the hill and water flows through a bull statue at the temple in middle of the Anthargange hill. The temple is situated amidst thick vegetation and a wonderful spot to experience natural beauty of the area. Motorable road is available close to the temple but vehicles need to be parked at the entrance of the hill and need to walk up hill for about 15 minutes to reach the temple. The temple is very ancient and considered sacred. There is a water pool formed by the water sourced from the spring. The Anthargange Caves are located on the peak which is about an hour trek from the temple. There are several caves on the hill top that can be explored by foot. Some of the caves are quite big and good for camping. Several visitors trek up the hill to camp overnight on the hill. Channarayana Durga is a hilltop fort near Madhugiri in Tumkur district of Karnataka. There are few temples and old structures inside the fort. This is one of the ideal trekking destinations around Bangalore. Channarayana Durga was strategic fortress during medieval times and many battles were fought for its possession. The fort was originally built by Channapa Gouda in the 17th century, a feudal lord from Madhugiri. Later the fort fell into the hands of the Marathas. But in subsequent year’s control of the fort changed several times between Marathas and Mysore Wodeyars. The British took over the fort during third Mysore war and then abandoned it. Channarayana Durga trek can be classified as moderate. During the monsoons, this initial trek would be difficult as the smooth rock would become slippery. The trek to Channarayana Durga is quite interesting and there are no signboards with very few tourists visiting. It takes about half day to trek to the top and explore the fort. The best time to visit Channarayana Durga is from September to December. 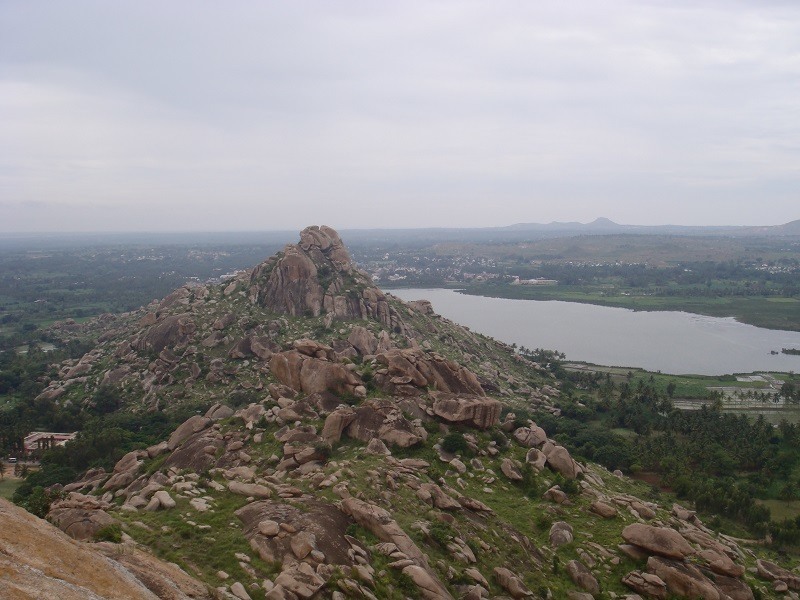 Madhugiri is a town in Tumkur district of Karnataka. 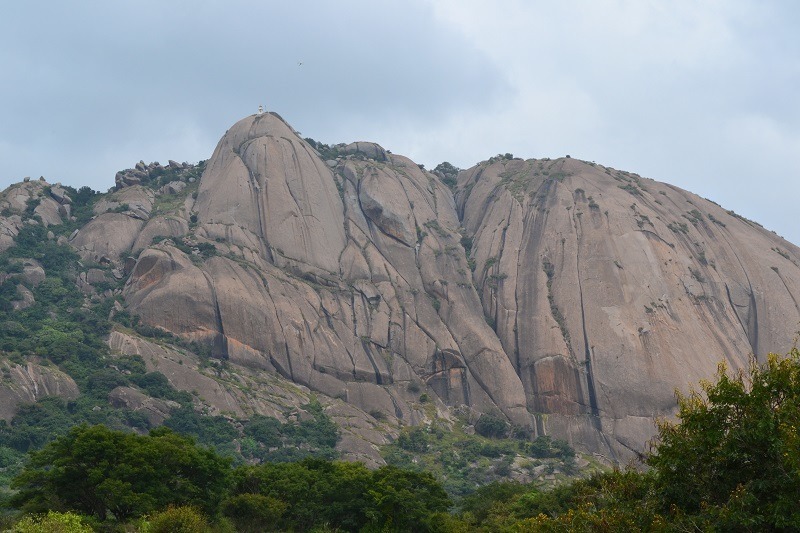 Madhugiri is famous for a hill which is the second largest monolithic rock hill in Asia after Savandurga. It lies at an altitude of 3,930 feet and is becoming a famous trekking destination from Bangalore. 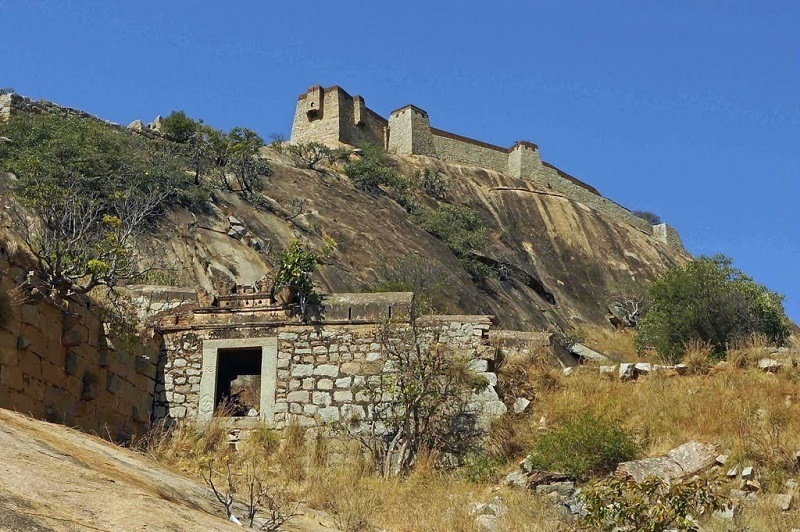 There is a fort on the slopes of the hill which derives its name Madhugiri from the Honey bee colonies that were abundant during those days. Antaralada Bagilu, Diddibagilu, and Mysore Gate are the three gateways of the fort. There is a temple of Gopalakrishna at the top of the hill. The construction of original mud fort was started around 1678 during the reign of Raja Heera Gowda and was finally completed around 1740 AD. Further fortification was carried out by Hyder Ali, who added huge arches, watch towers and large circular granaries. It was under the control of the British for a short duration. 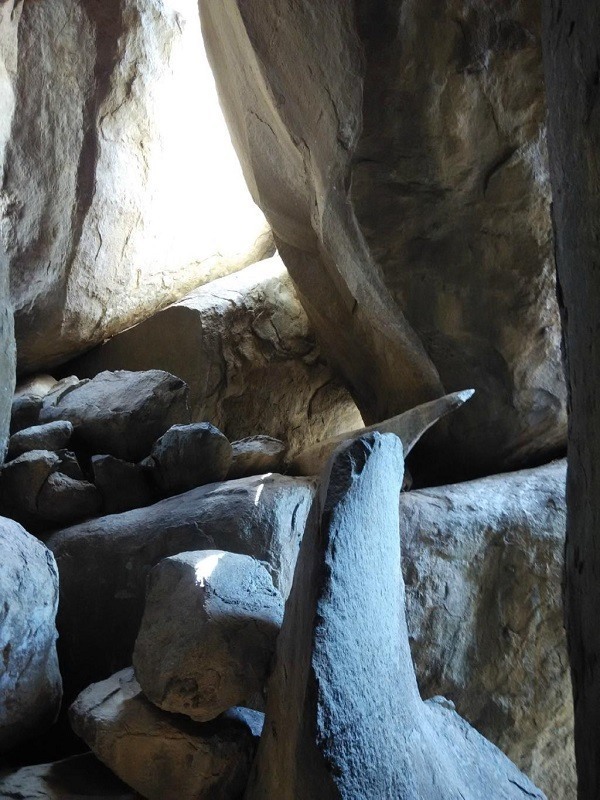 The trek to Madhugiri is of moderate to difficult level and takes about 1.5 hours one way. The trek starts at the bottom of the fort. 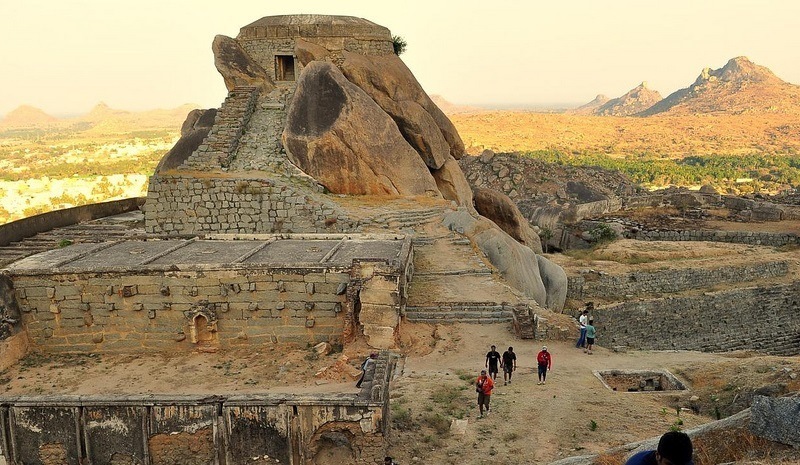 October to March is the best time to visit Madhugiri. Visitors need to carry plenty of water and some snacks. Kunti Betta is a picturesque hill situated in Pandavapura Taluk of Mandya district in Karnataka. This place Pandavapura was named after the Pandavas who had been here during their exile days. Kunti Betta is marked by the two rocky hills at an altitude of 2,880 feet. These rocky hills are surrounded by sugarcane, paddy fields & coconut trees. There is a temple with a pond at the foot of the hill which serves as a popular destination for pilgrims. The Kunti Betta trek starts from the right side of the pond. It takes 2 hours to reach the top of hill from the temple at the base. Kunti Betta is one of the best sites for trekking near Bangalore for one day trip and also one of the popular places to visit in Mysore. In addition to the abundant beauty of the vicinity, the trekkers can also get indulged in a night trek in Kunti Betta and experience the best of night treks around Bangalore. The overnight journey is very exciting to make it to the perfect destination for trekking on the hills of Kunti Betta. Kunti Betta is a perfect place for rock climbing and rappelling. Thonnur Lake, which is 4 km away from the Kunti Betta Peak, is a source of water for many villages in the surrounding area. It can be visited along with Kunti Betta. The best time to visit Kunti Betta is from October to May. Next PostWhy Is Morning Walk Necessary in Today’s Life Style?